As colleges and universities work to diversify their faculties, Williams has emerged as a leader in building a pipeline to the professoriate. An undergraduate fellowship from Williams allowed Drew Thompson ’05 to choose his passion—researching HIV/AIDS and public art in South Africa—over a lucrative job offer. An invitation to take classes and work closely with faculty the summer before her freshman year helped Amy Prieto ’96 complete a double major she thought was beyond her reach. A graduate fellowship at Williams gave Darby English ’96 the time and resources to finish his dissertation and gain valuable teaching experience. 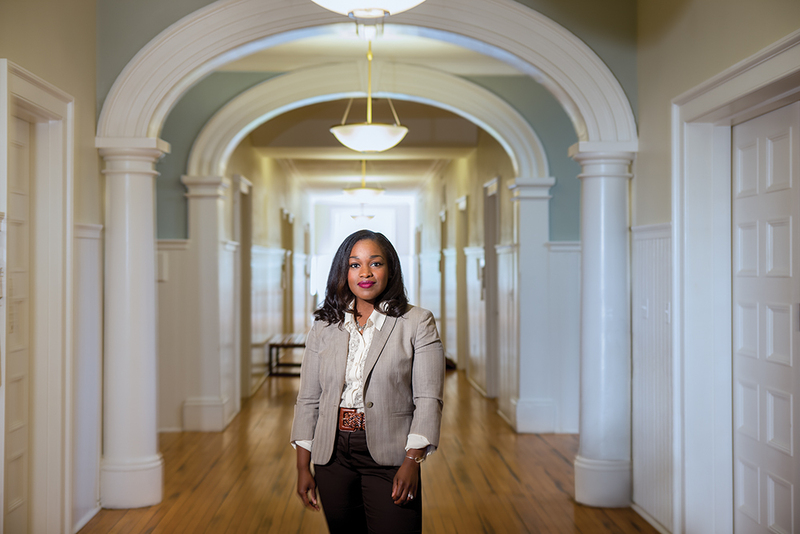 And for Ashley Brown Burns ’07, it was a freshman-year class with professor Cheryl Hicks, the first black Ph.D. she’d ever met, that inspired her to pursue the life of the mind. All four are now college and university professors, a career in which people of color—as well as women (in some fields) and first-generation college students—traditionally have been underrepresented. All four, along with hundreds of other alumni of color, benefited from a collection of programs at Williams that offer mentorship, opportunity and support at critical moments in students’ scholarly lives, encouraging them along the path to academia. The programs create a pipeline that begins before most students arrive on campus and continues through their graduate study to tenure-track positions at Williams and elsewhere. The length of the pipeline and its longevity—from programs established nearly 30 years ago to one that just launched in the fall—have made Williams a leader in the work to transform the academy. Williams faces a pivotal moment: Roughly a third of its faculty is expected to retire in the next decade or so, with similar turnover projected among tenured professors at other colleges and universities nationally. This year alone, the college is conducting searches for 17 existing full-time, tenure-track positions among its faculty of 246. Who fills these positions now and in the future is critically important. There’s no doubt Williams’ faculty has grown more diverse over the years, both in terms of who the professors are and what they’re teaching, which benefits the entire student body. As of June 2013, 20 percent of the college’s full-time tenured and tenure-track professors identified as American people of color, and 42 percent were women (up from 14 percent and 33 percent a decade before). Yet the numbers haven’t kept pace with diversity among the student body, which turns over every four years. Thirty-seven percent of students identify as American people of color, and 51 percent are women. Williams is working to close the gaps, both on campus and more broadly, and the results are impressive. 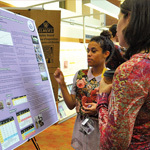 Consider the college’s two summer research programs for students from underrepresented groups who are contemplating academic careers. The Mellon Mays Undergraduate Fellowship is a national program launched on campus in 1989. And the Allison Davis Research Fellowship grew out of the federally funded McNair Scholars program, which began in 1996. The fellowship was renamed two years ago for W. Allison Davis ’24, the renowned social anthropologist and psychologist whose work paved the way for Head Start and affirmative action. Nearly all of the college’s 119 Mellon Mays fellows and 93 Allison Davis fellows have gone on to graduate school or professional school. Thirty have completed Ph.D.s, and another 39 are in the process of completing them. Only two doctoral candidates have decided to withdraw from their studies. Nationally, meanwhile, the Ph.D. completion rate is 50 percent. Another Williams program aimed at traditionally underrepresented groups, the competitive Gaius Charles Bolin Fellowship, brings graduate students from around the country to Williams for two years to finish their dissertations and teach. Of the 61 fellows who have completed the program since its start in 1986-87, at least 51 are now tenured or tenure-track professors, including three who received tenure at Williams. And the college is doing far more than adding diversity to the faculty ranks within higher education, says Mike Reed ’75, who served for eight years as the college’s vice president for strategic planning and institutional diversity, working to develop and unify new and existing pipeline programs. Amy Prieto ’96 found exactly that kind of support even before her first semester began, thanks to the college’s Summer Science Program. Along with her letter of acceptance, she received an invitation to the intensive, five-week introduction to Williams, which is offered to all incoming students of color and first-generation college students who express an interest in science. Since its inception in the late 1980s, 460 students have participated. In July, before most of the rest of her classmates arrived for first-year orientation, Prieto dove into classes in calculus and English as well as labs in chemistry, physics and biology. She toured the campus, visited area businesses and received counseling about financial aid. “I was excited about getting to be on campus early and figuring out how everything worked,” says Prieto, who was born in Colombia and came to the U.S. when she was 4 years old. Today she’s an associate professor of chemistry at Colorado State University. Over the years, the Summer Science Program and its counterpart, the Summer Humanities and Social Science Program, created in 2000, have expanded to include four courses and related labs. Up to 24 incoming science students and 18 humanities and social science students participate each summer. They live in two houses on campus with upperclassmen who, along with a core group of professors, serve as guides to academic and student life. They’re also developing a rapport with professors before the crush of the academic year. As a result, they’re more comfortable, Magavern says, when the time comes to ask for a letter of recommendation or to seek out a mentor, particularly in fields where students of color or female students are underrepresented, like some sciences. 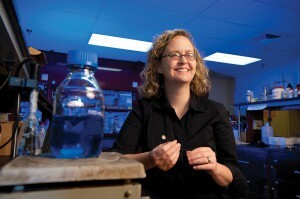 As a student, Prieto found a mentor in Lee Park, who joined the chemistry faculty in 1993. Working alongside the young professor in her lab helped Prieto “fall in love” with the research that ultimately led to her current work, which focuses on renewable energy sources, including battery cells and hydrogen storage. “I had so much support from Williams at a critical age,” Prieto says. Ashley Brown Burns ’07 arrived at Williams with plans for a career in medicine. But coming from a public school outside New Orleans with a limited understanding of how to navigate college, she was overwhelmed by her first semester. With a loaded schedule of economics, calculus and a writing-intensive seminar, she left the pre-med track after Biology 101 proved too challenging. It’s a powerful experience, recognizing your own potential in someone who looks like you, says Reed. And he believes it’s critical to future success. As one of roughly 35 African-American students at Williams in the 1970s, Reed says he still remembers the influence black professors Robert Stepto in English, Joe Harris in history and Reginald Gilliam in political science had on him. He stayed in touch with them for many years after graduation. Burns found that kind of support through what at the time was called the Williams College Undergraduate Research Fellowship, now the Allison Davis Research Fellowship. The fellowships are open to students of color, first-generation college students and non-U.S. citizens of African, Hispanic or Asian descent. Participants carry out 10-week independent research projects after their sophomore and junior years. They also receive skills development in advanced research methods and written presentation, preparation for the GRE and graduate school, and financial support to eliminate the need for a campus job and to cover travel for research, conferences and graduate school visits. The program also connects fellows closely with faculty—and with each other. There are 20 fellows at a time, 10 sophomores and 10 juniors. Burns says they became her intellectual support system. Burns majored in political economy with a concentration in Africana studies and went on to complete a master’s and doctorate in public policy at Duke University. She’s now an assistant professor in the political science department at Amherst College. Her research and teaching interests, which focus on social stratification and public policy, remain tied to those she developed at Williams. Burns also sees herself as a role model for students from underrepresented groups. Like Burns, Drew Thompson ’05 began college with a plan. Fresh from a summer internship with a law firm in his hometown of Washington, D.C., he was going to major in history and go to law school. But it quickly became apparent that his path was not as straightforward as he’d imagined. History Professor Kenda Mutongi recognized Thompson’s interest in art and activist causes and suggested he apply for a Mellon Mays Undergraduate Fellowship. Available to sophomores and juniors, the program is funded by the Andrew W. Mellon Foundation as its signature initiative to build diversity among faculty ranks. Mellon Mays fellowships offer programming, mentoring, stipends and loan repayment of up to $10,000 for aspiring doctoral candidates. 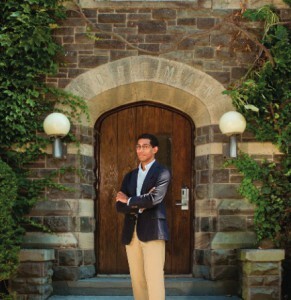 In 1989 Williams was one of 18 schools to receive funding for the program, which aims, in the foundation’s words, to “reduce over time the serious underrepresentation on college and university faculties of individuals from certain minority groups, as well as to address the attendant educational consequences of these disparities.” It’s open to all U.S. citizens and permanent residents who are underrepresented in their fields of study or who are committed to reducing underrepresentation on faculties. Forty-two schools now participate in the program. Mutongi recommended it to Thompson—“not thinking about it in terms of graduate school, but in terms of doing interdisciplinary research that the normal curriculum may not necessarily allow,” he says. Thompson went on to double major in history and art history. Though he’d been courted by an investment-banking firm in New York, Thompson says support from the fellowship allowed him to pursue the passion he’d developed at Williams. With the Mellon Mays, he spent three months the summer after his junior year in Cape Town, South Africa, researching HIV/AIDS and public art. The experience led him to apply for and receive a slew of post-graduate awards, including a Thomas J. Watson Fellowship for his project “Listening to the Unheard: AIDS Education and Therapy Through Public Art.” He later received a Fulbright scholarship. The Mellon Mays experience led Thompson to a Ph.D. at the University of Minnesota. He was then selected by Williams for a prestigious Gaius Charles Bolin Fellowship. Named for the college’s first black graduate, a member of the Class of 1889, the program was created in 1985 as a stepping stone for graduate students from underrepresented groups into the academy. Some 200 people apply each year for one of the two two-year residencies, which provide them with support to finish their dissertations and develop their academic portfolios at Williams. After a year Thompson was offered a position as an assistant professor in Africana and historical studies at Bard College. Mérida Rúa was working on a Ph.D. in American culture at the University of Michigan in 2003 when Williams appointed her as a Bolin fellow. The college had just begun building its Latino/a studies program, and Rúa was a perfect fit. She worked on her dissertation “Claims to ‘The City’: Puerto Rican Latinidad amid Labors of Identity, Community and Belonging in Chicago,” and taught a course. She also received mentoring from professors across academic disciplines, including history, political science and American studies. In addition to Rúa, Williams has hired five Bolin fellows into tenure-track positions: Armando Vargas in comparative literature; Jacqueline Hidalgo in Latino/a studies and religion; Rhon Manigault-Bryant, now tenured in Africana studies; Shanti Singham, a tenured history professor; and Devyn Spence Benson, now an assistant professor of history and African and African-American studies at Louisiana State University. Darby English ’96, who in July 2013 was named Starr Director of the Research and Academic Program at the Clark Art Institute, is also a former Bolin fellow. 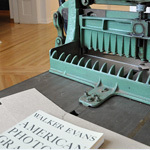 English, who majored in art history and philosophy, returned to Williams for the residency in 2001 while he was immersed in his graduate work in visual and cultural studies at the University of Rochester. As a Bolin Fellow, English collaborated with political science and American studies professor Mark Reinhardt, with whom he eventually edited a book and curated an exhibition at the Williams College Museum of Art. English next spent a decade teaching art history at the University of Chicago, where he received tenure in 2007. 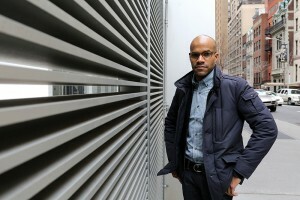 He became a consulting curator at the Museum of Modern Art in New York in 2013. A leading scholar of American and European art with a specialization in works by black artists, he now hopes to strengthen the ties between the Clark’s research and Williams’ academic programs. A new postdoctoral program at Williams holds similar promise of transforming the academy. The Creating Connections Consortium (C3) was launched this past year in partnership with the Liberal Arts Diversity Officers Consortium, an organization co-founded by Reed. C3 is a reciprocal program in which undergraduates from underrepresented groups at 20 liberal arts colleges have the chance to participate in summer research internships at the University of California at Berkeley and Columbia University. Meanwhile, graduate students at those universities can apply for two-year postdoctoral positions at Williams, Middlebury College and Connecticut College. Williams welcomed its first three C3 postdocs in the fall. After their residencies, they’ll be encouraged to apply for faculty positions at any of the participating liberal arts colleges. Bolin Fellows (and C3 postdocs, eventually) bring their experience of teaching at a small liberal arts college like Williams to dozens of other institutions of higher education across the country, including Boston University, Columbia, Harvard, MIT, Princeton and Stanford. Thompson says the values Williams instilled in him as an undergraduate and as a Bolin Fellow remain with him. With a third of Williams’ faculty retiring in the next decade and the demographics of the students who might one day take their place shifting, the college is paying close attention to how its pipeline programs may evolve to meet future demand. One of the most difficult areas in which to recruit are the so-called STEM fields (science, technology, engineering and math), where the percentage of underrepresented faculty remains in the single digits. Williams is exploring ways to enhance the pipeline with existing skills workshops and mentoring. New opportunities like the Luce Research Scholars Program, which provides fellowships for up to eight women conducting scientific research during the summer after their sophomore and junior years, can help to encourage underrepresented students to pursue graduate school in STEM fields. Inspired by those same questions, the alumni who were launched into the academy through Williams’ pipeline programs are committed to ensuring that students on their own campuses are thriving, too. Burns says she works to create as many opportunities as she can for her students at Amherst. She encourages them to collaborate with her on research projects, knowing that it’s a critical opportunity for them to gain valuable analytical skills, confidence in their own scholarship and even to earn money for the academic year. Denise DiFulco is a frequent contributor to Williams Magazine. Her last feature story was “A Monumental Achievement” in the fall 2013 issue. Important moments, from the invention of the earliest writing systems through the development of digital media, based on a new course. Ethan Zuckerman '93 discusses why the Internet is broken and how to fix it. President Adam Falk on diversifying the academy. Readers respond to our coverage of the alumni network, Cole Porter's piano, "Gentlemen Jews" and more. A look at the dedication of Sawyer Library, the life of James MacGregor Burns ’39, summer science and more. 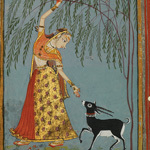 Elementary science, a historical cookbook, Indian ragamalas and more. 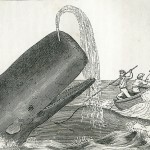 Prof. Lisa Gilbert’s voyage on the Charles W. Morgan.